This design job includes two aspects. 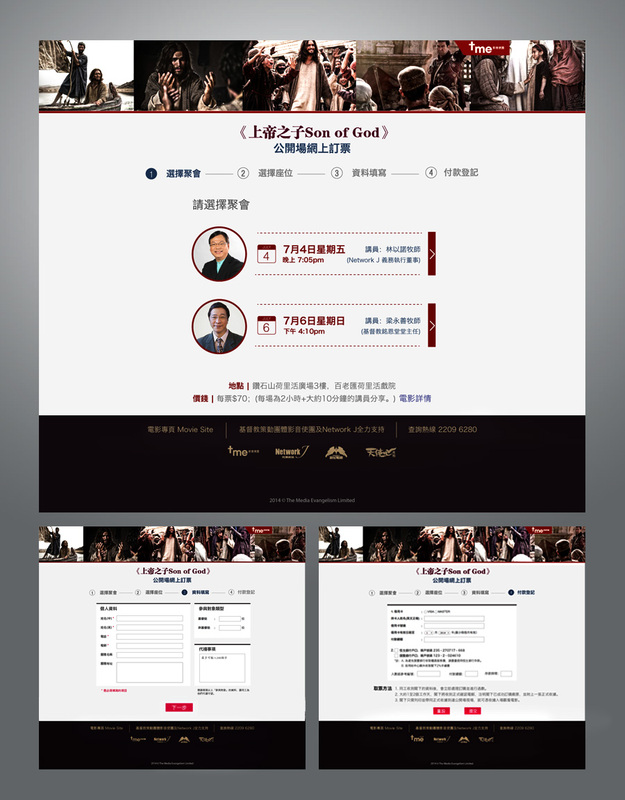 The first one is to design the theater ticket booking website for the special screenings of the movie “Son of God” (Chinese subtitles). It was used for the audience in Hong Kong. It includes seat charts and allows one to choose which seats they want in the theater floor plan. After choosing seats and filling out basic information, an e-ticket will be emailed to the user. 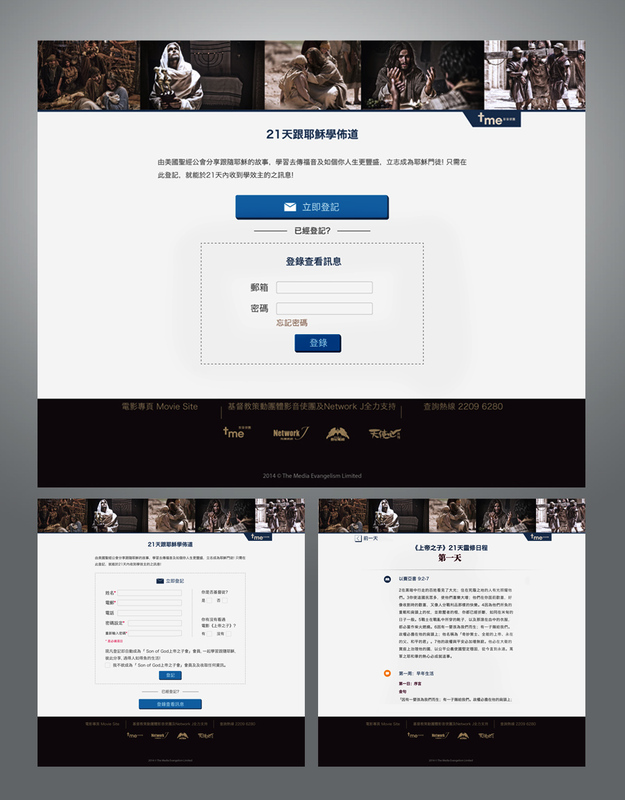 The second task is to design the website that lists out 21 days of daily devotion Chinese materials. It includes designing for membership login and the auto email that will be sent to members daily.